Women’s Basketball: Where Have They Gone? Head Women’s Basketball Coach Rosalyn Tindel comes to her first year at PJC from New Diana High School, but she had extensive community college experience at former Region XIV rival Lon Morris College prior to its closure. Tindel earned her Bachelor’s of Science degree from Midwestern State University and a Master’s of Education degree in health and kinesiology from the University of Texas at Tyler in 2010. She played collegiately at Midwestern State University under then-coach Jeff Ray. During those two years, the team compiled a record of 50-14, while winning a conference title and making the first of two NAIA national tournament appearances in the school’s history. During Coach Tindel’s eight years at Lon Morris, her teams were ranked nationally seven out of eight seasons for their academic success. She had a 98 percent graduation rate with nine players achieving membership in the Phi Theta Kappa honor society. She has coached two junior college All-Americans, and several All-Conference, All-Region, and All-Academic team members. Her teams ranked in the top 10 academically seven of eight years she was coach at Lon Morris. During the 2004-2005 season, the women’s basketball program made its first ever regional tournament appearance. In that run, they knocked off Trinity Valley Community College - then the number one team in the nation - to reach the conference championship game. That year they finished second, one win away from the national tournament. Once Lon Morris College closed, Tindel went back to high schools with stops at Whitehouse, North Mesquite, and most recently New Diana High School. 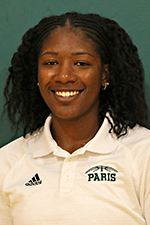 Jashae Lee returns for her second year as PJC Assistant Women’s Basketball Coach after one year serving in the same position and accumulating an 11-19 overall season record for the 2017-2018 year. During that season Coach Lee stepped in as head coach for a variety of games, including an upset over Trinity Valley Community College. This was the first win over TVCC for the Lady Dragons in game history and broke TVCC’s 10-year home game winning streak. She assisted in the graduation of seven Lady Dragons; two of whom continued on to NCAA Division l programs, two for Division ll programs, and one for an NAIA program. Previously, Coach Lee spent one year on the Murray State University women’s basketball staff as an assistant coach, where she earned a master’s degree in human development and leadership in 2016, as well as a bachelor’s degree in psychology in 2015 while playing for the MSU Racers. Lee, a native of Rialto, California, finished her collegiate play at Murray State University under Head Coach Robert Cross, where she played in a total of 86 career games while with the Racers. During her time at MSU, she was named a conference honor roll honoree, conference newcomer of the week five times, and helped her team to the second round of the conference regional tournament. Although fairly new to Paris Junior College, Lee is no stranger to the NJCAA and competitive JUCO scene. 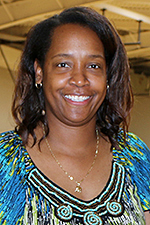 Prior to Murray State University, she spent a season at New Mexico Junior College under well-known head coach Drew Sanders. During her time at NMJC, she played in 26 games with a 22-5 record, averaging 11 points and 6.8 rebounds. That year, the NMJC Thunderbirds made it to the regional tournament and Lee finished as a 2013 All-Western Junior College Athletic Conference player and was named to the All-NJCAA Region 5 Team. As a freshman, Lee was a redshirt player for California Polytechnic State University due to an ACL injury. Prior to college, she played four years for Sultana High School, helping to lead the Lady Sultans to three consecutive conference championships in her final three years, as well a runner-up finish in her freshman season. She averaged 18.5 points a game in her senior year and left Sultana with eight school records. She was a California All-State selection her senior year, a three-time Mojave River Valley Player of the Year, reached 1,000 career points in her junior year and was a three-time All-Area selection.